Family Law: How are pensions and retirement accounts divided after a divorce? December 28, 2014 /in Family Law, Other Law Topics /by Daryle C. Tibbs Esq. https://tibbslawoffice.com/wp-content/uploads/2011/07/Family-Law-Keyboard-110717-sm.jpg 267 400 Daryle C. Tibbs Esq. https://tibbslawoffice.com/wp-content/uploads/2016/02/logo-300x74.png Daryle C. Tibbs Esq.2014-12-28 20:21:282019-01-06 14:46:15Family Law: How are pensions and retirement accounts divided after a divorce? Family Law: How does spousal support affect income? December 14, 2014 /in Family Law, Other Law Topics /by Daryle C. Tibbs Esq. Family Law: How does spousal support affect income? * Please note, recent changes to Ohio law may have changed the answer to this question. https://tibbslawoffice.com/wp-content/uploads/2011/07/Family-Law-Keyboard-110717-sm.jpg 267 400 Daryle C. Tibbs Esq. https://tibbslawoffice.com/wp-content/uploads/2016/02/logo-300x74.png Daryle C. Tibbs Esq.2014-12-14 15:42:112019-01-06 14:47:39Family Law: How does spousal support affect income? Family Law: What about tax dependency, exemptions and divorce? December 8, 2014 /in Family Law, Other Law Topics /by Daryle C. Tibbs Esq. 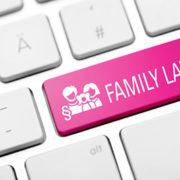 Family Law: Tax dependency, exemptions and divorce. *Please note that recent changes to Ohio law may have changed the answer to this question. https://tibbslawoffice.com/wp-content/uploads/2011/07/Family-Law-Keyboard-110717-sm.jpg 267 400 Daryle C. Tibbs Esq. https://tibbslawoffice.com/wp-content/uploads/2016/02/logo-300x74.png Daryle C. Tibbs Esq.2014-12-08 17:51:082019-01-06 14:48:54Family Law: What about tax dependency, exemptions and divorce? Family Law: What Case Expenses Are Involved In A Divorce Case in Ohio? December 3, 2014 /in Family Law, Other Law Topics /by Daryle C. Tibbs Esq. Family Law: What case expenses are involved in a divorce case? https://tibbslawoffice.com/wp-content/uploads/2011/07/Family-Law-Keyboard-110717-sm.jpg 267 400 Daryle C. Tibbs Esq. https://tibbslawoffice.com/wp-content/uploads/2016/02/logo-300x74.png Daryle C. Tibbs Esq.2014-12-03 01:58:472019-01-06 14:50:00Family Law: What Case Expenses Are Involved In A Divorce Case in Ohio?